When and if steroids are indicated in her treatment? What is the reason this patient can develop decreased vision? 2 month after the episode, she presents with dry eye. What is could have caused the dry eye ? It's difficult to tell from the picture but it looks like there is corneal involvement in this patient along with conjunctivitis. The patient may have epidemic keratoconjunctivitis. The corneal involvement in this disease ranges from fine SPK to diffuse sub epi opacities. These corneal findings may be the cause of blurry vision. I agree that steroids should be used if severe membranous conjunctivitis occurs. Great points in the previous comments. Would add that medications themselves can lead to decreased vision (eg ung application during day, etc). There is a nice paper (Cornea. 2007 Aug;26(7):778-81) that objectively measured qualities of the tear film in after acute conjunctivitis. 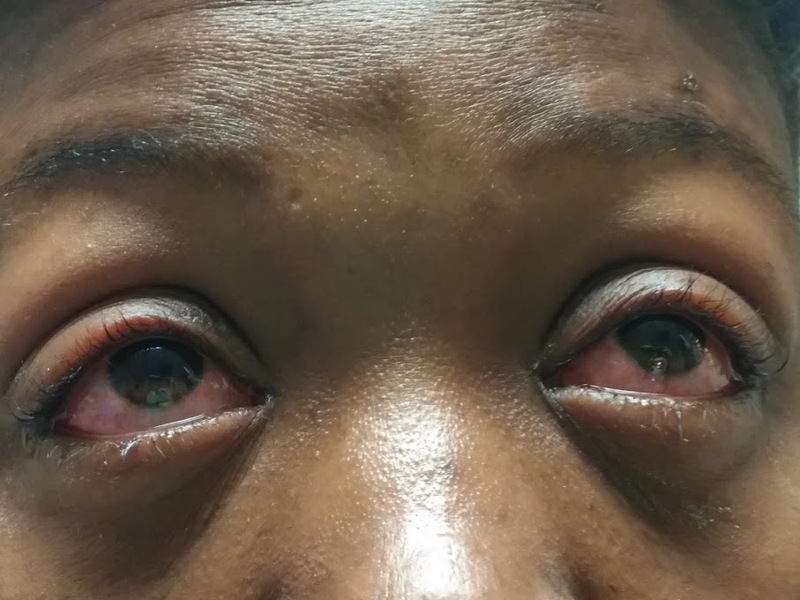 Besides infectious conjunctivitis, this patient could also have an allergic or atopic conjunctivitis which may also be treated with steroids. 1. I agree with Dan that steroids can be used if it progresses to severe membranous conjunctivitis. HSV must be ruled out. I have also seen it prescribed for patient comfort however the patient must be made aware that the disease course will be longer if used. 2. The tearing and/or dry eye could decrease vision. Or, if the patient has photophobia they may not want to open their eyes much and may appear to have decreased vision. 3. If there were topicals used, they could have caused the dry eye. Part of the tear film is made by the conj which is disrupted when it is inflammed. That may have led to dry eye, as well.